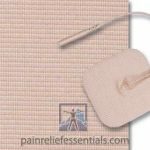 Four pack of 1.75 inch by 3.75 inch rectangle EMS or TENS Electrodes (adhesive gel pad) for use with Rhythm Touch and other electrical muscle stimulators as well as TENS units. 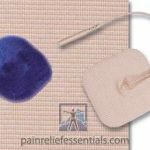 These large rectangle shaped electrodes are perfect for use on the thigh or legs along with a smaller electrode for specific applications as well as other large areas. 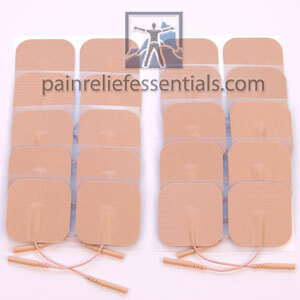 Learn about Pain Relief Electrodes high quality premium electrodes that meet a balance of comfort, effectiveness, durability, and price. 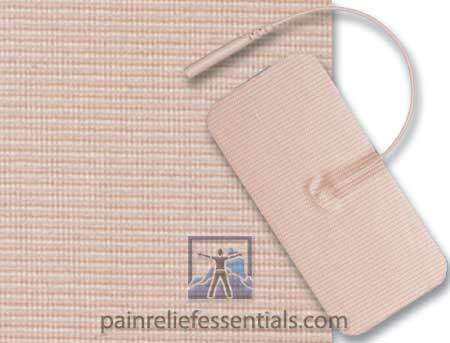 Why should you use Pain Relief Essentials large rectangle electrodes? 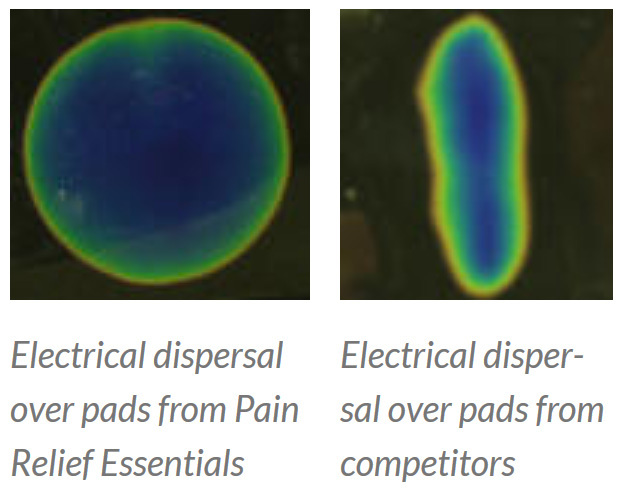 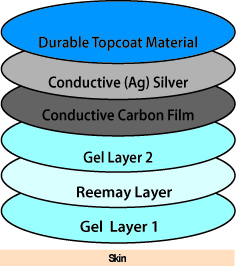 You’ll find that these rectangle electrodes for EMS and TENS are manufactured in the USA using state of the art processes and include special layers of material that effectively distribute the current over the majority of the electrode. You will experience increased comfort and and increased effectiveness of your electrical muscle stimulator or TENS machine.